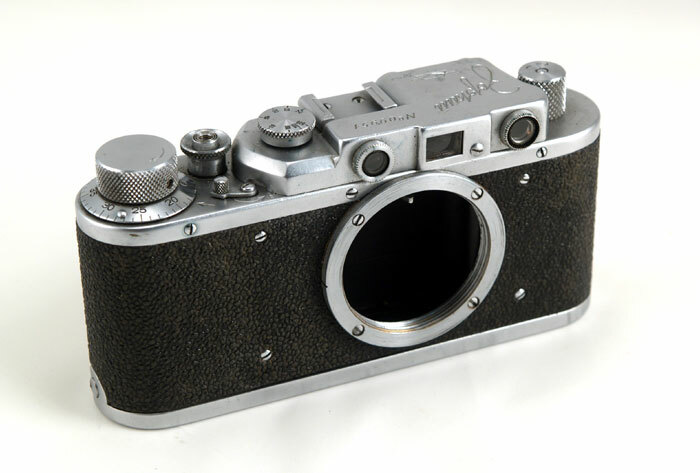 The FED was the first Leica II(D) copy made in the Soviet Union. Its production started in 1934 and lasted till 1955 with an interruption in 1941-1946 during WWII. At least seven different variations of the FED are known. This FED is a type 1g by Princelle or type 6 by McKeown. It has a new FED logo engraved on the top plate. This model was in production in 1953-1955. Shutter speeds - B, 1/25, 1/50, 1/100, 1/250, 1/500. 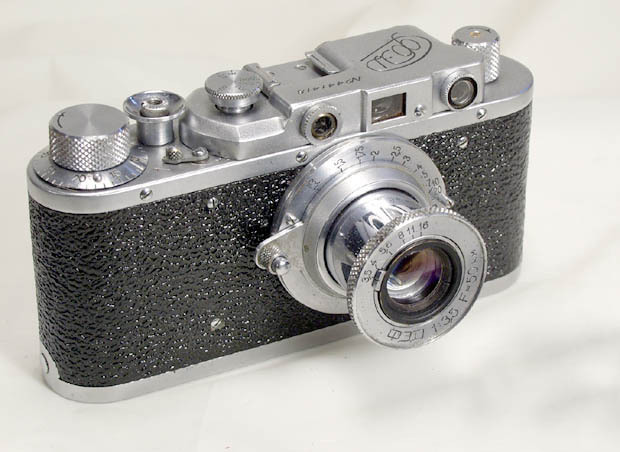 The camera comes with a Jupiter-8 lens (chrome version), F=5 cm, 1:2, 39 mm LTM, coated. This lens is a copy of a prewar Zeiss Sonnar 50/2 lens. As a true Leica copy, the FED accepts the whole range of Leica threadmount lenses. This FED is in EXC condition, the chrome is clean overall, the vulcanite covering is clean and complete. The shutter is working on all speeds. The RF and VF are clear and sharp. The lens is in EXC condition as well: clean in and out, with some faint cleaning marks on the front element (they are minor and will not affect image quality). This FED comes complete with a take-up spool. This FED is a capable user and a nice collectible camera.